Green coffee bean extract is made from the unroasted green beans of Coffea Arabica L, whose nutrients have not been destroyed and the nutritional value is higher than roasted coffee. 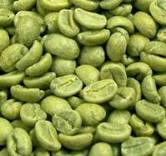 Green coffee bean has strong anti-oxidant and fat accumulation suppressing properties. The antioxidants in green coffee bean extract are known as chlorogenic acids. It acts as a slimming and health promoting substance. Chlorogenic acid was shown to have an antagonistic effect on glucose transport and also has been found to significantly delay glucose uptake from the small intestine. Studies have found chlorogenic acid reduces the risk of type II diabetes, lowers blood pressure and combats inflammation. Green coffee bean extract is also great for sports formulations because it can work to stimulate the production of cortisone and adrenalin in the body resulting in increased stamina. Some research suggests it may even help protect against illnesses such as heart disease by keeping arteries healthy. Sunfull’s Green coffee bean extract is water-soluble, which allows its easy addition in drinks.